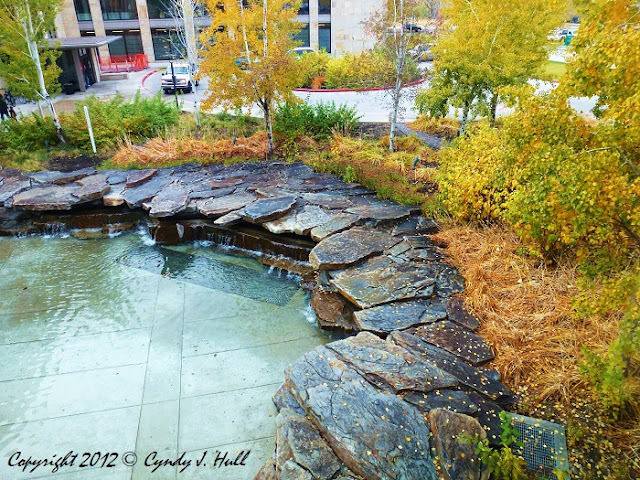 St. Patrick's Hospital in Missoula, Montana, has created a calming oasis courtyard, a blessing to patients and family and staff. This is the lovely view from the 2nd floor Day Surgery waiting room. A caring and efficient surgery team ensured my husband's surgery went well. Thanks, St. Pat's!